When the French surrendered to the German forces in 1940 and the Germans occupied Paris the Government of France was moved to Vichy, under Marshal Petain. The French kept a domestic armed force which operated within France but was supported by the Germans in keeping control of the French Empire; from Indo-China, through the League of Nations mandated territories of Syria and Lebanon; to the vast holdings in Africa. There, with French officers, the local troops and the Foreign Legion controlled the former French territories on behalf of Vichy France. Even later in the war, when De Gaulle became head of the Free French, French military relations with the U.S. Army were very fraught. General Patton famously declared ��I would rather have a German division in front of me than a French one behind me.� Eisenhower�s verdict was not much better, �De Gaulle is trying to put the blue and the red back in the French flag�. The largest contingent of foreign troops commanded by the French were those raised from its African colonies. These African soldiers were many and ubiquitous. They fought in Africa, the Middle East, Europe and the Far East, especially Burma, Ceylon, and India. There were over a million African soldiers engaged in this war. The French had created a body of African soldiers earlier. Since 1857 the French colonialists created a surrogate army of African soldiers from the Africans living in the several states composing the AOF (French West Africa) and the AEF (French Equatorial Africa). They called these soldiers the Tirailleurs Senegalais although they weren't limited to inhabitants of Senegal. The Tirailleurs Senegalais were created as the first permanent units of black African soldiers under French rule in 1857. These were not professional soldiers; they were drawn from the ranks of the ex-slaves and social outcasts who were sold to the French by the local African chiefs. From 1857 to 1905 the main recruiting of these soldiers was the rachat (repurchase) system in which slaves were purchased from their local owners by the French and turned into mercenary soldiers. The practice of buying slaves by the army was ended officially in 1882 but it was observed more in the breach than the observance. In 1905 the French colonies in Africa were put under civilian rather than military rule. However, this removal of French military rule over the region meant that ever more African proxies were needed for policing, fighting resistance forces, and as garrison troops. These surrogate troops were used to put down local uprisings and expand French rule. The Tirailleurs Senegalais participated in the conquest of Morocco in the early 1900s. In 1912 a new partial-conscription law was passed, making it easier for the French to recruit surrogates. With the French entry into World War I these Tirailleurs Senegalais were sent to Europe to defend France. The number of West African troops serving under French command in World War I comprised about 170,891 men, and approximately 30,000 of them were killed. In Senegal alone more than a third of all males of military age were mobilized and sent to France to fight. After the war the French colonial authorities passed the Conscription Law of 1919, which called for universal male conscription in peacetime as well as wartime. Hundreds of thousands of the Tirailleurs Senegalais were compelled to fight in France's colonial wars and to provide labour brigades for the colonial authorities. During World War II these African troops played an important role. The Tirailleurs Senegalais troops were used in even greater numbers, initially by Vichy France and later by the Free French. In 1940, African troops comprised roughly 9 percent of the French army. The French recruited more than 200,000 black Africans during the war. Approximately 25,000 were killed in battle. Many were also interned in German labour camps and thousands of black African Prisoners of War (POWs) were murdered by the Wehrmacht in 1940. One of those who escaped execution was later President of Senegal, Leopold Senghor. Despite his high level of education and acquisition of French citizenship in 1932, Senghor was enrolled as a French army enlisted man (2me Classe) in 1939 with the rank of private within the 59th Colonial Infantry division. A year later, during the German occupation of France, he was taken prisoner by the Germans and kept in several internment camps. He ended up in Front Stalag 230 at Poitiers, which was reserved for colonial troops. It was there that the Germans engaged in mass executions of African prisoners-of war. The main sport of the German guards at that camp was to randomly pick out their African prisoners almost daily and take them out to a field for target practice. Literally thousands were killed that way. Senghor escaped �by the skin of his teeth�. Senghor was lucky to avoid the daily executions. He was released for medical reasons in 1942 and went back to Senegal and his unit. He was then sent with his unit to Algeria as part of the French war against Algerian nationalists. Not only was it difficult to be taken far away from home and placed in great danger on the front lines, but the French were divided between Vichy and the Free French. Both sides had large contingents of African troops. The French were happy to use African troops against other African troops. Perhaps the best example was in Operation Explorer. During the Second World War the Germans concentrated their Central Asian policies on supporting the regime of Rashid Ali and the colonels of the "Golden Square" in Iraq. They were trying to block British access to India and to the oil supplies of Iraq, then under British influence. In the spring of 1941 the French Government (Vichy) granted permission for German and Italian aircraft to refuel in the Levant en route to Iraq. The French were still the �Mandated� rulers of Syria and Lebanon. The British were urged by the �Free French� under de Gaulle to intervene against the Vichy French. British forces in the Middle East under Wavell invaded Syria and Lebanon from Palestine and Transjordan on Sunday, 8 June 1941 (with columns arriving from Iraq later in the campaign) under the codenamed "Operation Exporter". At that time the �Allies� were only the members of the British Commonwealth. The Soviet Union had not yet been invaded and the Japanese had yet to bomb Pearl Harbor. These Allies anticipated a quick knockout followed by immediate rallying of Vichy forces to the Free French. This did not happen, although the Vichy forces were small and without sufficient reserves or supplies. Their ground forces were tough and well-trained, and their small air force actually maintained air superiority for much of the campaign. Instead of a quick victory, the Australian, Indian, British, and Free French forces slugged it out with the Vichy defenders and suffered several serious setbacks before the ceasefire on 12 July. The reason that the Free French and the Vichy French showed such valour was that they were both made up of Senegalese troops and Foreign Legionnaires. There were very few French actually involved, Free or otherwise. By July most of the Free French forces and the Vichy forces (especially the Senegalese), had enough of killing their countrymen, and refused to continue. When the campaign ended, with an Allied victory only some 5,700 (out of about 26,000) Vichy troops elected to join de Gaulle. The remainder were evacuated by sea to French North Africa under Allied supervision. The Senegalese were tired of fighting other Senegalese and went home. The War in the Lebanon was much quicker as the French soldiers quit after six days because they had run out of Senegalese. An armistice was signed in Acre on July 14, 1941. By July 1941 the British had effectively cleared the Vichy French out of the Levant on their own. By then the Soviets had been attacked and had entered the war, Britain was desperate to supply the Soviets with equipment and built up a transport force of 600 trucks which travelled from Jordan to the Soviet border (Georgia). To do this and to protect the �Habforce� which supervised the British interests at Habbaniya and Baghdad, the British outbid the Germans for the loyalties of the Iraqi tribesmen. The British delivered 250,000 gold pieces to the Iraqis and a safe passage was granted. This tradition has caught on. The French were still as devious and unprincipled as ever. After signing the Acre Armistice, General Charles de Gaulle visited Lebanon, officially ending Vichy control. Lebanese national leaders took the opportunity to ask de Gaulle to end the French Mandate and unconditionally recognize Lebanon's independence. As a result of national and international pressure, on November 26, 1941, General Georges Catroux, delegate general under de Gaulle, proclaimed the independence of Lebanon in the name of his government. The United States, Britain, the Soviet Union, the Arab states, and certain Asian countries recognized this independence. Some of them exchanged ambassadors with Beirut. However, even though the French technically recognized Lebanon's independence, they continued to exercise authority. General elections were held, and on September 21, 1943, the new Chamber of Deputies elected Bishara al Khoury as president. He appointed Riyad as Solh as prime minister and asked him to form the first government of independent Lebanon. On November 8, 1943, the Chamber of Deputies amended the Constitution, abolishing the articles that referred to the Mandate and modifying those that specified the powers of the high commissioner, thus unilaterally ending the Mandate. The French authorities responded by arresting a number of prominent Lebanese politicians, including the president, the prime minister, and other cabinet members, and exiling them to the Castle of Rashayya, located about sixty-five kilometres east of Sidon. This action united the Christian and Muslim leaders in their determination to get rid of the French. France, finally yielding to mounting internal pressure and to the influence of Britain, the United States, and the Arab countries, released the prisoners at Rashayya on November 22, 1943; since then, this day has been celebrated as Independence Day. The other consequence of the French defeat by the British in the Syria-Lebanon Mandate was the creation of the Palmach. Throughout the Second World War many Palestinian Jews fought for Britain against the Axis.� Many units were raised including pioneer and transport companies.� Some Jews served with the TJFF and an infantry brigade was raised and fought in the latter stages of the Italian campaign.� Special, commando type units were also raised and played an important role in Operation Exporter, the British invasion of Vichy French Syria in 1941. On 15th May 1941, the leadership of the Yishuv (the Jewish community in Palestine), in consultation with the British military command in Palestine, established nine pelugot machaz ("strike companies") and so the Palmach was born.� Palmach is the Hebrew acronym for pelugot machaz.� These nine companies were comprised of experienced guerrilla fighters, most of them veterans of the 1936-39 Arab rebellion and many of them had been trained by Captain Orde Wingate, later commander of the Chindits in Burma.� These new units were trained and armed by the British Army in Palestine. Six hundred Palmachniks participated in the invasion of Syria.� Others also supported the invasion of Lebanon.� Forty hand-picked men, including Yitzhak Rabin, went in to Vichy held territory on June 7th, 1941, the day before the invasion proper, to reconnoitre the western approach from Palestine and to sabotage transportation and communications infrastructure.� They blew up bridges and rail lines and cut telephone and electricity lines.�This is where Moshe Dayan lost his eye. The rest of the Palmachniks went in the next day�to serve as pathfinders or guides for the Allies.� The frontier country was well known to the Palmachniks for many had operated along the Syrian frontier.�Captain Orde Wingate's Special Night Squads engaged in counterinsurgency actions during the '36-'39 Arab rebellion, striking at Arab insurgents in the Syrian and Lebanese border villages they used as jumping off points.��Operation Exporter forced the surrender of Vichy forces in Syria after only six days.� The Palmach became the first elements of the Haganah and later the Israeli Defence Force. Many of its earliest military commandos were participants in the War in Syria. The war in Europe continued and large numbers of African soldiers continued to die. By late 1944 it became clear that an Axis victory was unlikely. It was a matter of time before the invasion of the German heartland would end with a German defeat. The Italians had already changed sides and De Gaulle was installed as the leader of the Free French. Vichy had disappeared. De Gaulle and his generals decided that it was time to �whiten� the French Army. They extended their gratitude to the African soldiers who were returning to West Africa in 1944 after the Liberation of France. De Gaulle, when he saw that the Allies had pushed the Germans out of France decided that it was too dangerous to continue to use these African troops. He ordered a �whitening� of the troops by replacing 20,000 Africans which were in battle at the front with white French soldiers. This event caused hatred and dislike between the white and the blacks at war. These Tirailleurs Senegalais troops were segregated in French demobilising centres waiting to go back home. While at the centres these African soldiers faced discriminatory treatment. They barely got the food and resources they needed and did not have any kind of shelter. The French refused to pay them the money they owed them and informed them that, as they weren�t French, they would not be entitled to any pensions or benefits from their contribution to the Liberation of France. They were then transported out of France to holding camps in Africa, near Dakar in Senegal. In December 1944, humiliated and without having been given what they were promised, the soldiers at the camp at Thiaroye protested for the back pay to which they were entitled. The protest was seen by the French as defiance against the French military and the general in charge, with the help of the gendarmerie, ordered the "white" French military to deploy machine guns and opened fire on the African soldiers which resulted in thirty-five Africans killed, hundreds wounded, and many sent to jail. It was known as the Thiaroye Massacre. It is not in any French history books, but it isn�t forgotten among African soldiers. 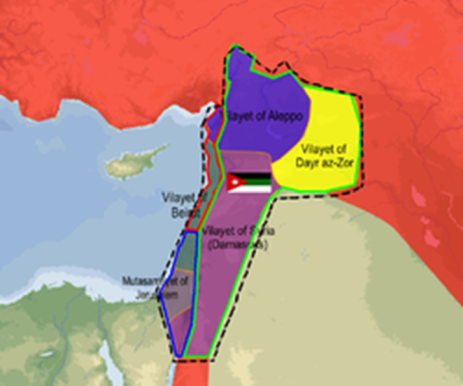 The creation of "spheres of influence" in the Levant was accomplished by the secret Sykes-Picot Agreement between England, France and Bolshevik Russia in 1916. This effectively carved up the failing Ottoman Empire who had chosen the wrong side in the First World War. 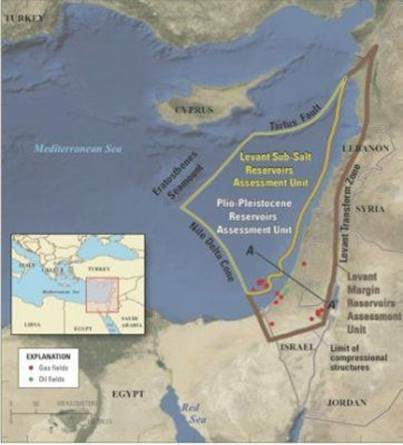 Britain control of the coastal strip between the Mediterranean Sea and the River Jordan, all of Jordan, southern Iraq, and an additional small area which gave the British access to the seaports of Haifa and Acre to allow access to the Mediterranean. France got control of south-eastern Turkey, northern Iraq, Syria and Lebanon. Notionally, Russia was to get Istanbul, the Turkish Straits and Armenia. 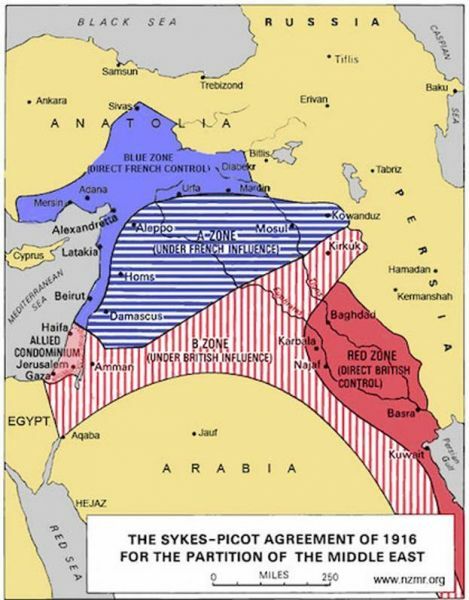 The Sykes-Picot Agreement was very good for the French and the British but trampled over the rights of the Arab tribes to achieve an independent Arab state under King Hussein [Sharif of Mecca] formed from the Arab tribes whose support for the British war effort (see Lawrence of Arabia) was predicated on the goal of creating an Arab state. The Sykes-Picot Agreement alienated most of the Arabs of the region who felt they had been duped by the British and the French. It also alienated the remnants of the Ottoman Turks who felt that their state was being dismembered and fostered a high degree of irredentism. The League of Nations confirmed this by mandating the areas to both France and Britain. 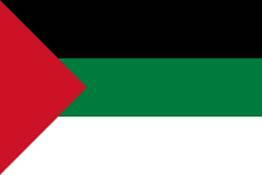 The British later gained control of some additional territories in 1920 and ruled it as Mandatory Palestine from 1923 until 1948. They were also given a Mandate in Iraq which lasted from 1920 until 1932, while the French Mandate for Syria and the Lebanon lasted from 1923 to 1946. To compound the disquiet of the Arabs, the British issued the Balfour Declaration which promised a homeland in Palestine for the Jews. The other major aggrieved party was the Kurds. However, at the Paris Peace Conference of 1919-1920 the Great Powers outlined a procedure for the Kurds to establish a separate state. According the Treaty of S�vres (1920), the Great Powers carved out an autonomous area for the Kurds east of the Euphrates, south of Armenia and north of the Turkish frontier with Syria. The Kurds prepared for a gradual autonomy and later self-rule but were overtaken by the revolution which rose up in Turkey when Kemal Ataturk installed his new, secular, Turkish state. The Kurds lost their autonomy and all hope of independence and even their identity. The Treaty of Lausanne (1923) replaced the Sykes-Picot Agreement and the Kurds� demands were not recognised in that treaty. The sense of grievance continues. In 1920, the French were given a Mandate over Syria and Lebanon; a new type of colonialism which looked towards an eventual independence and self-governance of the territory. The French troops invaded and took control of the region. Th Arabs had already founded their own state in Greater Syria under the Pan-Arb flag of the Arab Revolt which had joined the various, mainly Sunni, Arab tribes who supported the war against the Ottomans. It was led by Faisal, son of Sharif Hussein of Mecca. Faisal established the first new post-war Arab government in Damascus in October 1918 and named Ali Rida Pasha ar-Rikabi its military governor They established their own Arab state after the war and had begun to work out an administration which considered the tribal realities of the region. The French troops marched in and took over the Syrian Arab Republic and replaced it with governments tolerated by the French Mandate. France took on the governance of the region. Its policy was to play on the divisions in the country, tribal, religious and cultural and maintain those divisions by choosing the weakest to be the French allies. In the face of growing Arab nationalism and self-assertion the French chose to side with the Maronites in Lebanon and the Alawi in Syria. The consequences of this can be seen in today�s problems. The Assad clique which runs Syria are Alawis; a minority group within the Syrian state. They are followers of an Ismaili belief system that incorporates aspects of both Shi'a and Sunni Islam and some Christian beliefs; Alawis celebrate Christmas, Easter, and Epiphany. In fact, the Turkish Alevi (a Turkish variant) maintain that they are not Muslims as all. The majority Sunni communities agree and view the Alawi as largely a cultural group rather than a heterodox Muslim sect. The Sunni ordered them to build mosques, but no one worshipped there so they were abandoned. Because many of the tenets of the faith are secret, Alawis have refused to discuss their faith with outsiders. Only an elect few learn the religion after a lengthy process of initiation; youths are initiated into the secrets of the faith in stages. Their prayer book, the source of religious instruction, is the Kitab al Majmu, believed to be derived from Ismaili writings. The Alawi, of whom there are about 1,350,000 in Syria and Lebanon, constitute Syria's largest religious minority. They are often called by other names as well - they have been called Nusayris, Nusairis, Namiriya or Ansariyya. They live chiefly along the coast in Al Ladhiqiyah Province, where they form over 60 percent of the rural population. For several centuries, the Alawi enjoyed autonomy within the Ottoman Empire, but, in the mid-nineteenth century, the Ottomans imposed direct rule. Regarding the Alawi as infidels, the Ottomans consistently persecuted them and imposed heavy taxation. During the French Mandate, the Alawi briefly gained territorial autonomy, but direct rule was reimposed in 1936. For centuries, the Alawi constituted Syria's most repressed and exploited minority. Most were indentured servants and tenant farmers or sharecroppers working for Sunni landowners. Because of their outcast status, many government jobs were off-limits to them and they never prospered in business. They mobilised out of their rural setting by joining the Army. They rose in the ranks and were the key elements n the Syrian Baath Party. The other Baath Party was in Iraq and the two main branches of the Baath Party controlled both Iraq and Syria for nearly forty years. The Arabic word ba�ath means �resurrection� or �renaissance.� The party had its origins in the desire of Syrian secular Arab nationalists to break with their feudal past and to create a new form of government for Arab countries.� The Baath Party was officially founded in 1947 and sought to create a secular and socialist culture in Arab countries. The Baath Party was able to establish itself in Syria in 1954. The Baath Party established itself in Iraq in 1963. In Syria, Hafez Assad originally led the party which was dominated by the Alawi (about 12% of the Syrian nation) and supported by the network of Alawi in the army and the national intelligence establishment. In Iraq, Baath had trouble holding on to power; but by the late 1960s, the Baath was in full control, and Saddam Hussein was running the party. That created a problem, however, as both Assad and Hussein insisted that their branch of the party was running the �official� Baath movement. The two men could not agree on who was in charge and became bitter enemies.� The Iraqi Baathists were almost exclusively Sunni while Syrian Baathists were primarily Alawi. When Saddam was deposed in 2003, many senior Iraqi Baath Party members fled to Syria, and made peace with the Syrian branch of the party. This put the Syrian Baath Party in a tough position. Bashar Assad had taken over in Syria when his father died in 2000. Bashar was not groomed to run the country, but instead trained as an optometrist. However, his older brother, the heir apparent, died in an accident, and it was up to Bashar to keep things together.��Even worse, the new political group, Al Qaeda, considered Alawites just as heretical, and worthy of death, as the Shiites.�To further complicate this situation, Syria has long been an ally of Shia Iran, mainly because Iran was a long-time enemy of�Iraq. The Syrian Baathists, after its founding, soon gave up any notion of Arab socialism and became a corrupt police state. In 1982 Hafez Assad banned all other political parties except the Baath. He had them ruthlessly dissolved; their leaders killed or subject to involuntary exile. The free press of Syria was outlawed. The only newspapers that were allowed into circulation were official Baath papers. The people of Syria eventually grew unhappy with these turns of events. A new political party was formed; the Muslim Brotherhood. This Muslim Brotherhood attracted a lot of support from unhappy Syrians, most Sunni (and was supported by Egyptians). The Muslim Brotherhood embarked upon a program to overthrow Assad. They made their presence known with demonstrations and protest marches and soon gathered a lot of support. In response, Hafez Assad deployed his army to make such an example of the Muslim Brotherhood that no man would ever dare challenge his rule again. One centre of opposition was the city of Hama. Hafez Assad decided that Hama would be the staging point of the example he was to make to the Syrian people. In the twilight hours of February, the 2nd, 1982, the city of Hama was awakened by loud explosions. The Syrian air force began to drop their bombs on the city. The initial bombing run cost the city only a few casualties. Its main purpose had been to disable the roads so that no-one could escape. Earlier in the night, Syrian tanks and artillery systems had surrounded Hama. With the conclusion of the air bombing run, the tanks and artillery began their relentless shelling of the town. Thousands died. As homes crumbled upon their living occupants and the smell of charred skin filled the streets, a few residents managed to escape the shelling and started to flee. They were met by the Syrian army under Rifaat Assad (Hafez�s brother) which had surrounded the city; the residents were all shot dead. The artillery barrage was followed by waves of Syrian soldiers. They quickly converged on the town, killing anything that moved. Groups of soldiers rounded up men, women, and children only to shoot them in the back of the head. After the majority of the people in Hama were dead, the soldiers began looting. They took all that they could from the now empty homes. Some were seen picking through the dead civilians looking for money, watches, and rings. Finally, the soldiers withdrew. The final horror was yet to come. To make sure that no person was left alive in the rubble and buildings, the Syrian army brought in poison gas generators. Cyanide gas filled the air of Hama. Bulldozers were later used to turn the city into a giant flat area.� The lessons of the Hama Massacre were not lost on the Syrian population and an already deep dissatisfaction with the Alawi grew deeper. It was this same group of unrestrained and vicious military leaders who marched into Lebanon with the Syrian Army and occupied the Lebanon as a protectorate in 1976. Assad wanted to prevent Lebanese sectarian warfare from spilling over into Syria and had to be certain that Lebanon maintained a unified front with Syria in any negotiations with Israel, especially after 1979. As Syria has very little resources, Lebanon provided a free trade zone and a place to extort money. They did not want to leave the Lebanon. This is why no one had any doubts that it was the Syrians who assassinated Rafik Hariri, the Lebanese prime Minister, or blew up several journalists.� The withdrawal of Syrian troops was confirmed by the UN Security Council and enshrined in Resolution 1559 of 2 September 2004. Despite the withdrawal of the Syrian troops there was still a well-organised Lebanese militia force operating in Lebanon in defiance of Resolution 1559 � the Hizbollah (God�s Party). The Hizbollah were funded, guided and supplied from Iran with the direct help of the Syrians. �Iran created the Hizbollah after Israeli troops stormed into Beirut in 1982. Initially trained by Iran's Revolutionary Guards, the group continues to receive extensive funding and weapons from Tehran. The empowerment of the Maronite Christians and Druze in Lebanon and the Alawi in Syria are a direct result of French neo-colonial administrations. The various Arab nationalist and fundamentalist groups which arose in the region were tied as well to the Sunni Arabs of the region who were unable to insist that their influence should extend beyond Saudi Arabia and the states of the Gulf. They saw the rise of Iranian power under the Shah and later the mullahs to pose an existential threat to the fundamental Sunni interests. They were more tolerant of religious fanaticism and talk of a New Caliphate being born from dissident Sunni Arab youth. The wealthy states of the Gulf knew that they could buy the peace they needed at home but would have trouble trying to buy peace from the Iranians and the Iraqi Shia. The outbreak of the Syrian Civil War locked these differences in place. There were many conflicts within Syria of groups who opposed Assad and the Alawi. To a large degree, this was not a world problem until the rise of Daesh. Daesh made the war in Syria (and later Iraq) into a world problem. When the civil war broke out in Syria it was not a major problem for the great powers of the world. There had been little peace in Syria or Lebanon for years. A great deal of Lebanon was still rubble from its war and the Syrian occupation. The hold of the Assads in Syria was not in doubt but only because of the violent and ubiquitous enforcement of government terror against its domestic political forces. The attention of the world was in Iraq and Afghanistan where war, engaging Western troops, had been going on for almost ten years. The Syrian civil war was a sideshow. There is very little that the world needs from Syria. Its oil has always been trivial, and it suffers a constant lack of water which makes it a net importer of food. It has been surviving with grants and loans from the Soviet Union and later Russia. In return for this Syria allowed the Soviets a large Russian naval base at the Syrian port of Tartus; established under a 1971 agreement with Syria; staffed by Russian naval personnel. The base supports the Russian Navy's fleet in the Mediterranean Sea. During the 1970s, similar support points were located in Alexandria and Mersa Matruh, Egypt and Latakia, Syria. In 1977 the Egyptian bases were closed, and the vessels moved to Tartus. In 1991, the Russians pulled back most of their foreign bases and wiped out their 5th Mediterranean Squadron. The remaining base at Tartus was made part of the Black Sea Fleet.�It is not really a base for fighting naval warfare. It has three floating docks; a floating workshop, storage facilities, barracks and other facilities. In 2009 President Assad agreed to the port�s conversion into a permanent Middle East base for Russia. Since 2009, Russia has been renovating the Tartus naval base and dredging the port to allow access for its larger naval vessels. It is clear that the Russians see this base in the Mediterranean as a response to the Western efforts to site missile bases near to the Russian border and see the Tartus base as an important bargaining chip in negotiations with NATO. To achieve the security of tenure for the Tartus base it is vitally important for the Russians to keep Bashar Assad in power. Russia has recently constructed and extended several air bases and installed its latest radar systems. Theoretically the Russian effort in Syria is designed to confront and eradicate Daesh. In reality, it is also there to support Assad in power. The U.S. is in Syria to combat Daesh, as Daesh had spread into Iraq and was threatening the stability of the new Iraqi government and killing many people; especially the Kurds, Yazidi, Turkmen and Christians. Using the Peshmerga Kurdish forces and the YPG spinoffs the U.S. Special Forces in Northern Syria have made stunning successes against Daesh and almost obliterated them. They have reclaimed a great deal of northern Syria, including the oil wells and the rivers. �On 17 March 2016 the Kurds announced the formation of a new�Federation of Northern Syria that would take in Kurdish-majority areas of�Jazeera, Kobane and Afrin, knowns as Rojava,�plus Arab towns currently under Kurdish control. �Salih Muslim Mohammed,�the co-leader of the�Democratic Union Party (PYD), the largest Kurdish�party in Syria, said the federation should not be seen as an autonomous Kurdistan region, but rather a blueprint for a future decentralised and democratic country, where everyone is represented in government. �There is no autonomous Kurdish region, so there is no question of recognising it or not," he said.��It is part of a democratic Syria, and it might expand all over Syria. We want to decentralise Syria, in which everyone has their rights. That same day, two hundred�members, delegates and party members including Kurds, Arabs, Turkmen, and Christians from the Kurdish areas of Syria and Syrian towns including Manbij, Aleppo, and al-Shahbaa elected a council of 31 members for the Democratic Federal System for Rojava and Northern Syria. 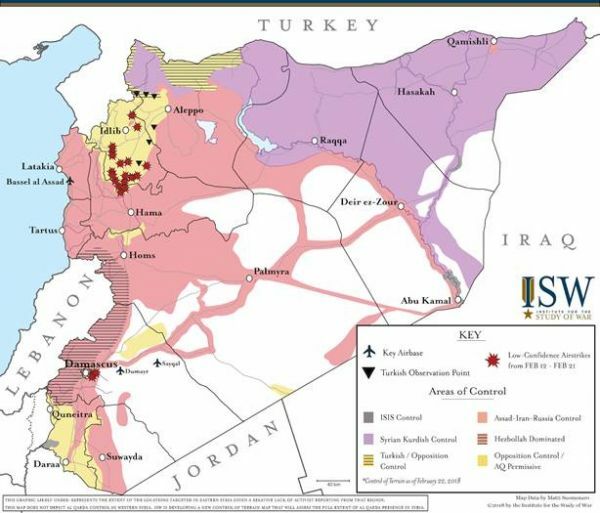 [iii] To a large extent, the creation, survival and success of the Federation of Northern Syria encompasses much of the U.S. foreign policy ambitions. There are very few people or agencies in the U.S. Government ready and willing to engage in the reconstruction of the Syrian cities or the infrastructure. If the Syrians and the Russians destroyed it, let them rebuild it. There is nothing in Syria the U.S. needs. In fact, the civil war in Syria has fatally delayed or made almost unreachable the goal of drilling for offshore gas. When the U.S. is indicating that it wants to pull its troops out of Syria when Daesh is finally defeated it means that it supports a policy of Balkanisation of Syria. It would like to see the Federation of Norther Syria survive and prosper and is working to engage some of the Sunni nations of the Gulf and Saudi Arabia in taking over the military security of the Federation. They are already paying for the YPG forces engaged with the U.S. in destroying Daesh. There is no need for the current levels of assistance from the U.S. when the last vestiges of Daesh are dissipated. The French have played a very strange role in addressing the problems of Syria. �Because of its legacy of the Mandate and the French occupation of Syria the French have been heavily engaged with the country for decades. France has been a major supplier of weapons and equipment to Syria. Its President, Jacques Chirac, was on such friendly terms with Assad that he awarded Assad the Legion of Honour award, the country�s highest distinction. President Jacques Chirac retained extensive business linkages with Saddam Hussein (despite UN sanctions) and opposed the 2003 Iraq War. His goodwill extended as well to Baathist Syria. French policymakers declared that Bashar al-Assad�s takeover in 2000 ushered in a new era for Syrian politics. The next French President, Nicolas Sarkozy praised Assad for defending the rights of Syrian Christians. Even Assad�s wife, Asma, was selected. as the most stylish woman in world politics by Elle magazine. While everyone else was worried about Assad and his brutal domestic politics the French were openly in support of him. However, when the refugee crisis began, and Islamic bombers started attacking French cities Assad became France�s enemy. Assad announced that the French deserved the bombs and attacks and said that the French support for the anti-Assad forces in the Civil War precipitated these attacks in France. The French saw their opportunity to pretend to be a major international power and to be conducting a foreign policy different from that of the U.S. While the Europeans and the U.S. and Canada were in discussions on how to approach the rise of Daesh and the need to confront Daesh in its power base in Raqqa, on Sept. 27, 2015 France launched airstrikes on Syria� a move that was still under discussion by the governments of other European countries. France did the same thing in Libya by unilaterally deciding to bomb Qaddafi on its own before any international consensus could be agreed. This was despite Qaddafi contributing millions to Sarkozy�s political campaign. Now France is trying to take back the Legion of Honour from Assad and Sarkozy is on trial to give back the millions paid by Qaddafi. France is posing as a humanitarian force, eager to bomb Syria for using chemical weapons and to promote regime change. Its main thrust, however, is to position itself as a friend and supporter of the Sunni-led nations of the Gulf and to be seen as an alternative partner to the U.S. This is similar to the French role in Africa; setting the political stage for military intervention, using U.S. military assets, and expecting the U.S. taxpayer to fund its neo-colonial ambitions. France insisted that there be a no-fly zone over Libya during the Arab Spring uprisings against Muammar Gaddafi. The French interpretation of UN Resolution 1973, which imposed a no-fly zone over the country, was bolder than either the US's or the UK's position. It also insisted on calling this a NATO operation. It used up almost all its ammunition in the first weeks of the Libyan campaign and U.S. military assistance was required to keep the operation going. The US spent almost $1.5 billion in the first wave of attacks by the French and British. Since then the French have requested foreign assistance from the U.S. and it EU allies for pursuing its often-aggressive neo-colonial policies in Africa and Syria as it could not afford these on its own. There is an ironic side to French requiring assistance from NATO to support its neo-colonial policies. France withdrew from being a full member of NATO in 1966 and remained separated for decades. The reason for French withdrawal was that France believed that NATO was not militarily supportive enough.� France's effort to develop its own non-NATO defence capability, including the development of its own nuclear arsenal in the 1960s, was to ensure that the French military could operate its own colonial and post-colonial conflicts more freely. Under de Gaulle, France had attempted to draw NATO into France's colonial conflicts (on France's side). De Gaulle claimed that Algeria was part of France and thus was part of NATO. Therefore, NATO must intervene to assist France in putting down Algerian independence movements. After the British and Americans refused to assist with French colonialism, de Gaulle expelled NATO troops from France and set up a more independent French military. Now that France is back in NATO it is making the same request of its partners as De Gaulle. France is able and willing to carry on its neo-colonial military efforts because it is subsidised by massive U.S. military and financial assistance and financial assistance from the European Union, calling it NATO and European Defence Force. �If the Congress thought it was wrong under De Gaulle they should realise that it is also wrong under Chirac, Sarkozy, Hollande and Macron. There are many good reasons to reduce the U.S. forward presence in Syria as long as the safety of the Federation of Northern Syria and the Kurds is assured. Being urged on by France to expand the U.S. involvement may assist France and its commercial interests. It doesn�t advance U.S. interests.